Note: Weight on all the skills should be the same. Our Advanced Athletes should set a goal of using 155lb. for men and 115lb. for women. Either way, choose a weight you can perform 6 consecutive repetitions of the Push Jerk with, and use that weight for the other skills. This is a great workout that places a high emphasis on efficient technique. 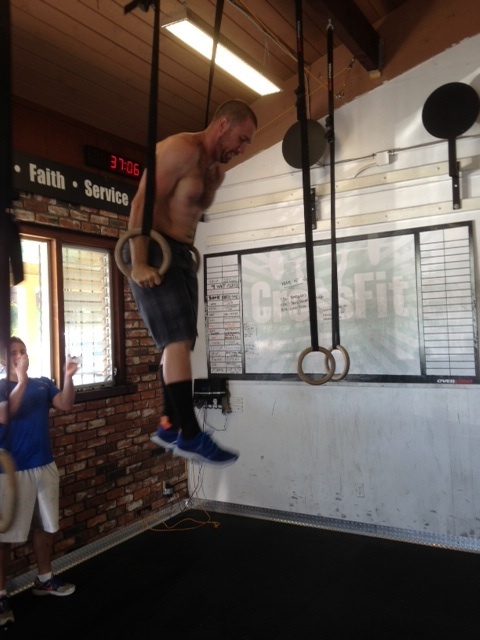 Pete nails his first Muscle-up!